A drip can be more than just an annoyance in your plumbing system. It can also waste water in your home. This could add up to unwanted water expenses and unnecessary activity in your system. Call Dallas Plumbing Company today for leak repairs. 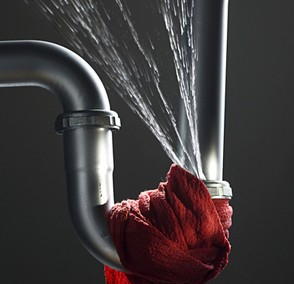 Fortunately, it is not too hard to fix a drip in your plumbing system. Whether it is on your shower head or faucet, you can get a drip fixed up with a few smart pointers in mind. Fortunately, it is not too hard to fix a drip in your plumbing system. Whether it is on your shower head or faucet, you can get a drip fixed with a few smart pointers. To start, you must shut off the water around the area that you are trying to fix. You must turn off the water so no further leaking will develop as you are fixing the problem. Don’t forget to let the last of the water in the line move out before you fix things. Look at the area that was dripping. The adjusting ring should be checked to see if it is loose or tight. You might have to tighten this part if you don’t add more pressure to it than needed. Excess pressure can cause fatigue on your plumbing system. If this does not work, you would have to unscrew and remove the ring. You might have to fix up the springs around the system to make it work properly. The seats and springs around the area should be removed if the ring had to be taken off. The seat is a circular piece that supports water moving through. The spring is right under the seat. Both parts should be removed with an Allen wrench. New seats and springs should be added into the area. An Allen wrench can be used to add these parts to the area. The materials should be inserted carefully and calmly so they will stay functional and easy to use. At this point, the seats and springs should cover the entire area. Make sure your seats and springs are of the same size as what you are replacing or else the area will not be properly covered. This is needed as some drips might come because those parts have worn out. Replacing them helps keep the plumbing system working without leaks. After this, you can add the ring back onto the setup. You can always use a new ring if desired. Make sure the ring is tight enough but not firm to where it causes abrasion and makes it harder for water to move through. At this point, you should be able to turn the water back on and get the setup working again. It should not be dripping when water is not actively run. This process can be used for all kinds of faucets, shower heads or other plumbing setups around your home. If this isn’t fixing your leaky faucet, a Dallas Pluming Company Expert will be glad to help.